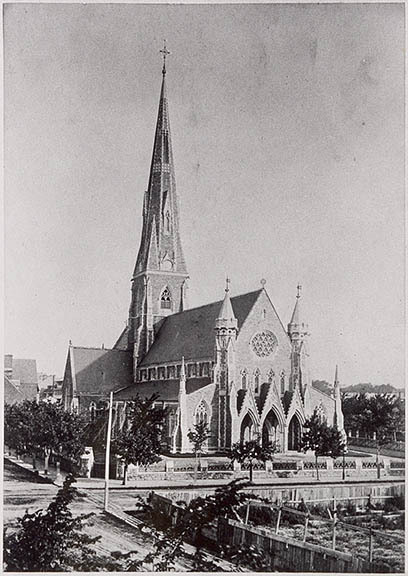 The first protestant congregations in Montreal worshipped together in various chapels of the Roman Catholic Church. The first Christ Church was a former Jesuit church, given to the Anglican congregation by the Government. It was near the court house on Notre Dame Street. It was destroyed by fire in 1803. King George IV granted Christ Church proper Letters Patent, confirming its constitution as the Parish Church (and Rectory) of Montreal. 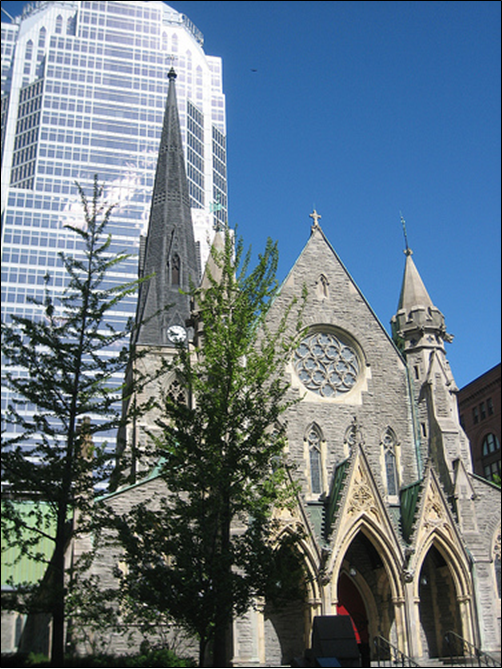 The Diocese of Montreal was officially proclaimed, and Christ Church became Christ Church Cathedral. Three hours after choir practice, the building was completely destroyed by fire. Church records and registers, one wall tablet, and the copy of Da Vinci’s “Last Supper” were all that were rescued. The first service (Morning Prayer) was held in the new building, located on the present site, in what was then the countryside. 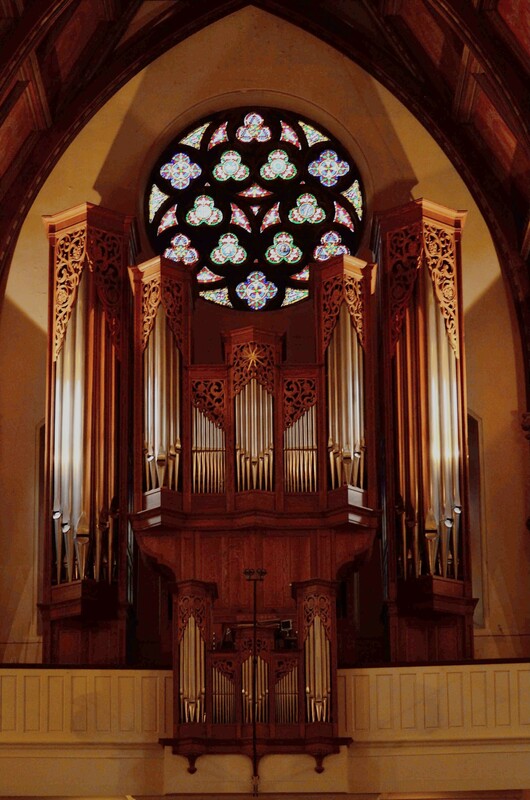 The beautiful neo-Gothic building was designed by British architect Frank Wills, who also designed Christ Church Cathedral, Fredericton. This new building was beautiful to behold, but it suffered from some engineering problems. The heavy central tower immediately began to sink into the soft ground of its foundations, and by 1920 the spire was leaning 4 feet to the south. The stone steeple, weighing 3.5 million pounds, was removed. A replica steeple made entirely of aluminum was erected as an anonymous gift. 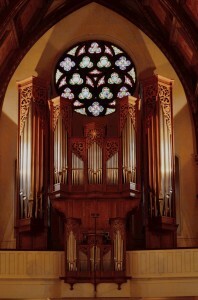 The mechanical-action organ was built by Karl Wilhelm of Mont St-Hilaire. 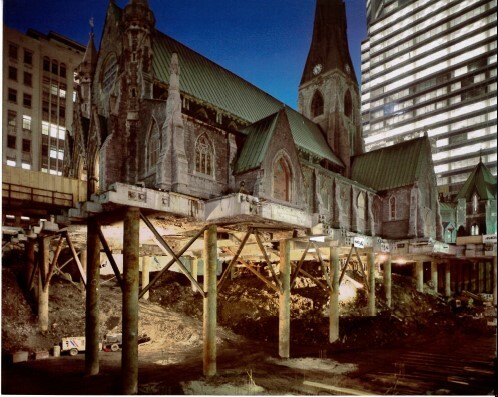 The Cathedral, in partnership with the Diocese of Montreal and the Canadian Bible Society, undertook a major development project. A number of buildings were demolished and the 34-storey building (now the KPMG office tower) immediately to the north of the Cathedral was built. This tower includes two parking levels and a retail level below the Cathedral, underground connections to Complexe Les Ailes and La Baie department stores, and the McGill Metro station. There is also a 10,000 sq. ft. mezzanine floor sandwiched between the Cathedral floor and the ceiling of the first retail level. This is occupied by the Canadian Bible Society shop and the Undercroft – home for the Cathedral’s choir and Sunday School. 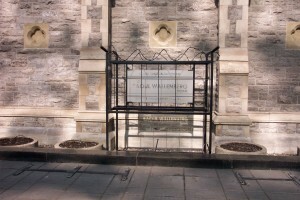 The Raoul Wallenberg Monument is unveiled in the cloister garden behind the Cathedral.